[Jakarta, 15 March 2019] Indonesian Islamists are united in their determination to defeat President Joko Widodo (Jokowi) in elections on 17 April 2019 but they have little chance of success. If Jokowi wins, they are aiming at a massive show of force to demand a greater state role in enforcing conservative interpretations of morality and orthodoxy. Beyond that, however, they remain a fractious alliance, with component parts differing sharply on long-term goals. 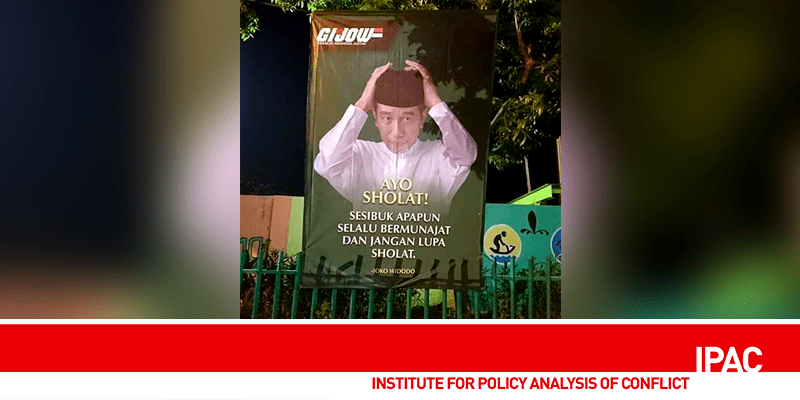 Anti-Ahok To Anti-Jokowi: Islamist Influence on Indonesia’s 2019 Election Campaign, the latest report from the Institute for Policy Analysis of Conflict (IPAC), details how the 2016-17 campaign against the then Jakarta governor Basuki Tjahaja Purnama, better known as Ahok, evolved into an anti-Jokowi campaign. From the outset, the “212 Movement”, named for a huge rally on 2 December 2016, was plagued by ideological and tactical differences, but the Jokowi government’s attempt to prosecute, co-opt or stigmatise its members has helped bring them together.